Sift flour, sugar, baking soda, salt and cacao powder. In a separate bowl beat eggs, vegetable oil, buttermilk, food colouring, vinegar and vanilla. Add the dry mix to the wet mix. Beat until well combined and smooth. Separate mixture evenly. Place in oven for 20-25 minutes. Let them cool. Serve with your choice of frosting! Notes... Add your choice of frosting or serve warm with ice cream and/or whipped cream. Thanks for the recipe. I’ve never made or even tried red velvet cake so I’m curious. 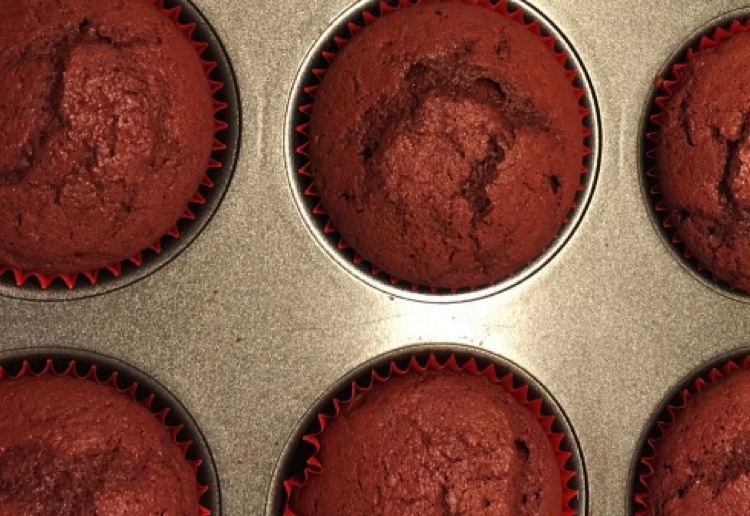 I love red velvet cakes and this recipe for little cupcakes looks good – a big thanks. They have a lovely taste and well worth making and trying. They taste even better with delicious vanilla icing! The red velvet cupcakes are really on trend this year! Your cupcakes would be perfect to add to lunch for a delicious treat!